He's one of the country's favourite motor racing sons getting ready to say goodbye to full time driving. But V8 fans all over the land need to do a double take this weekend when Craig Lowndes gets behind the wheel of his #888 Commodore for the final time. 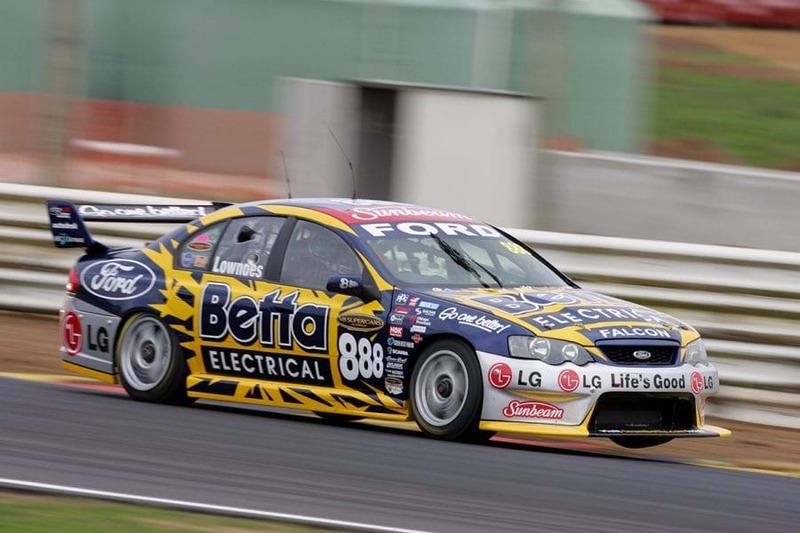 The Autobarn livery for this weekend's Coates Hire Newcastle 500 will pay tribute to his early days with the Triple Eight team when they were adorned with Betta Electrical branding and *cough* ran Falcons. 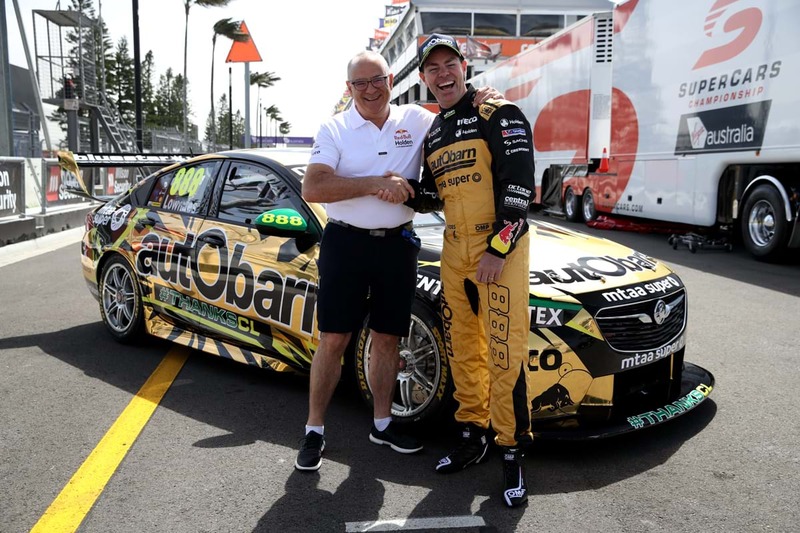 The black-and-gold look echoes the blue-and-yellow Fords he drove in 2005 and 2006, no doubt shocking Holden fans and even the man driving it. "I didn't know this was coming," he said of the special one-off livery. Lowndes suspects the Mrs was in on it all along. "Lara, my wife, she's been disappearing and taking phone calls all over the place." "There was talk of a gold helmet, we obviously had done that and it was already in the pipeline, we revealed one at Bathurst." So what does he think? "It's fantastic. There's a lot of history within the design of the car, I'm really thankful that the team has been able to do it." "That's where it all started for me with Triple Eight," he said. "'06 really was an amazing year and then for me to be part of the journey with Triple Eight and to have the success as a combination has been really fantastic." Craig steps away from full-time driving after this weekend's finale to try some other things next year including some media work.